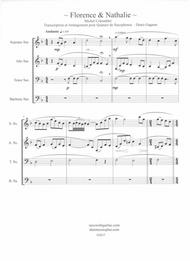 Composed by Michel Colombier (1939-). Arranged by Denis Gagnon. Romantic Period, Contemporary Classical, Neo-Classical, Movies. Individual Part, Score. 10 pages. Published by Published by SaxoWeb Québec (S0.279413). 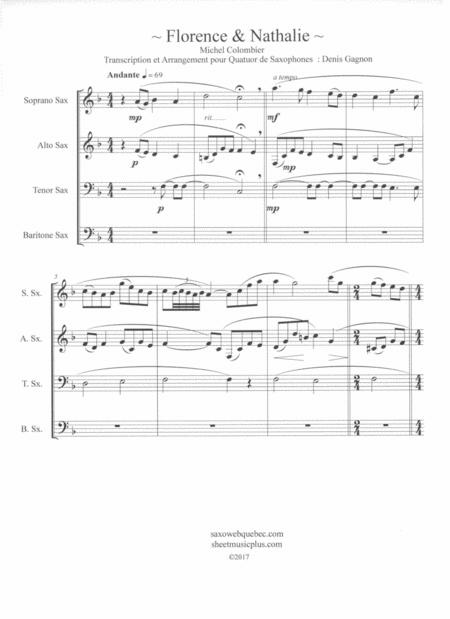 Arrangement pour Quatuor de saxophones Score et partitions individuelles (Soprano, Altp, Ténor et Baryton).